When packet comes to interface of router , router looks into destination ip in pakcet header and consults the routing table to find the best match. The rule is that best match means longest prefix. And this is the first general rule of routing table. The router can have multpile valid routes but the longest prefix meaning longest netwkrr mask wins. 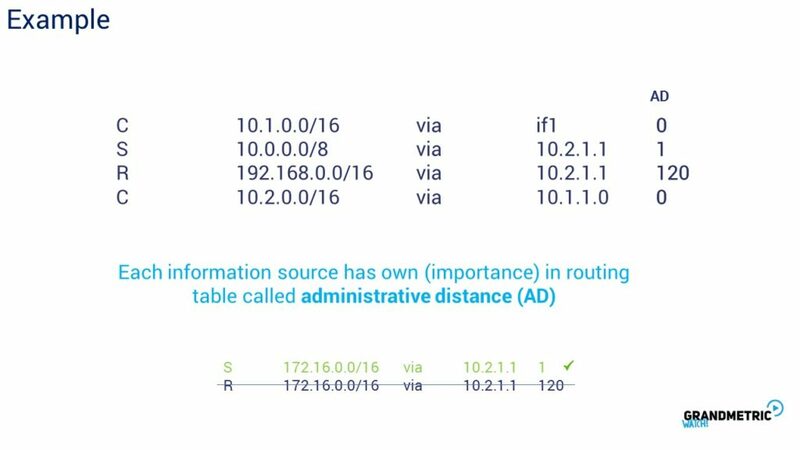 In this picture routing table of router 1 has multiple valid entires. but in looking for best match the 10.1.3.20/32 wins as this is the longest prefix that matches destination. 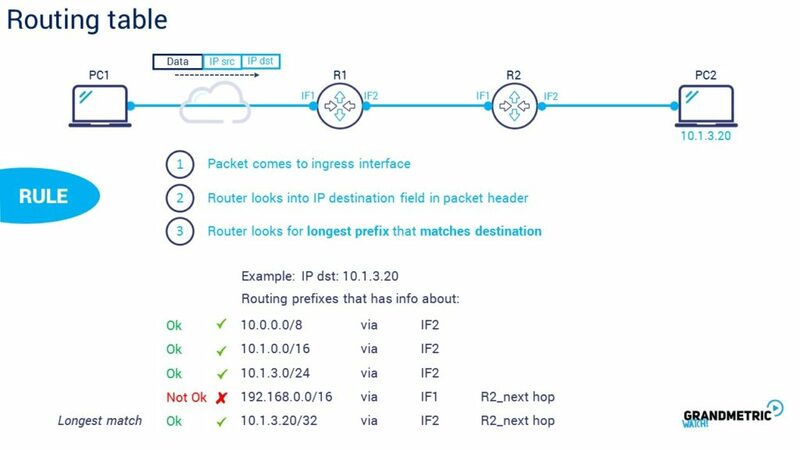 Look that 10.0.00/8 is valid bacause destination IP in packet 10.1.3.20 is withing this network, 10.1.0.0/16 is also valid, 10.1.3.0/24 is also valid prefix but we have exact match on the last position so that wins. Then router knows that needs to forward the packet out of interface 2 via Router2. 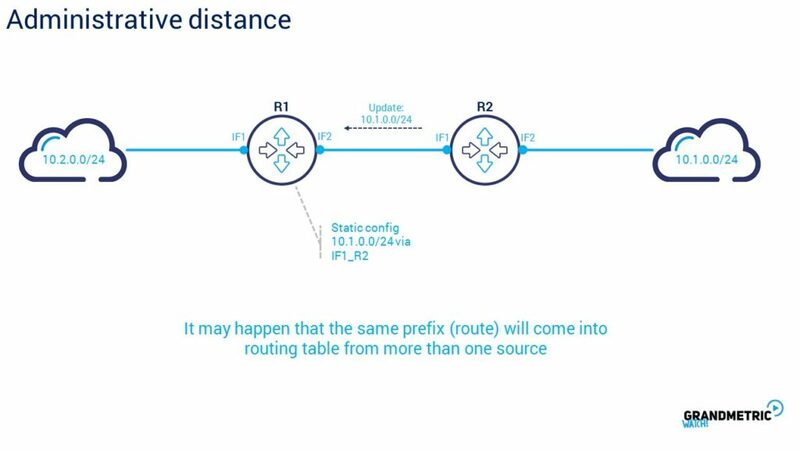 As you know from last video the network infromastion can be sourced by static or dynamic routing. Each source of routing information owns specific letter to mark the source of coming informatoin. The connected network has always marked with letter C like connected. Connected networks are those interface of routers belong to thats why they are called directly connected. Static routes are marked as S – like static and they are manually addded by administrator. 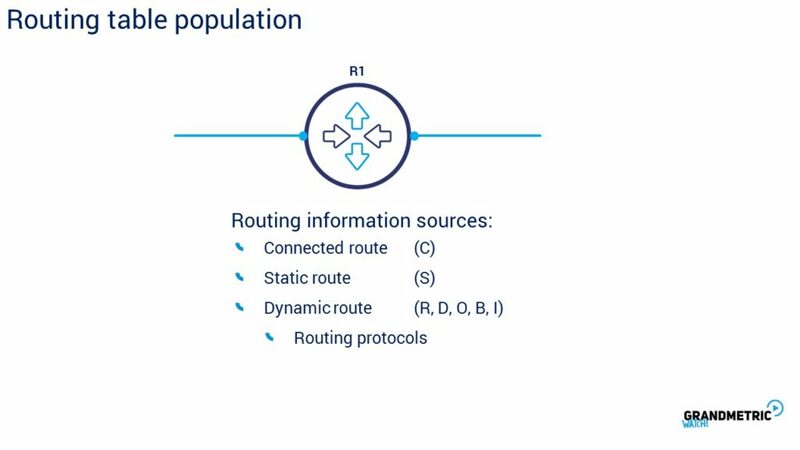 The dynamic routes can come from different routing protocols. For the sake of this course you need to only got familliar with few new names. 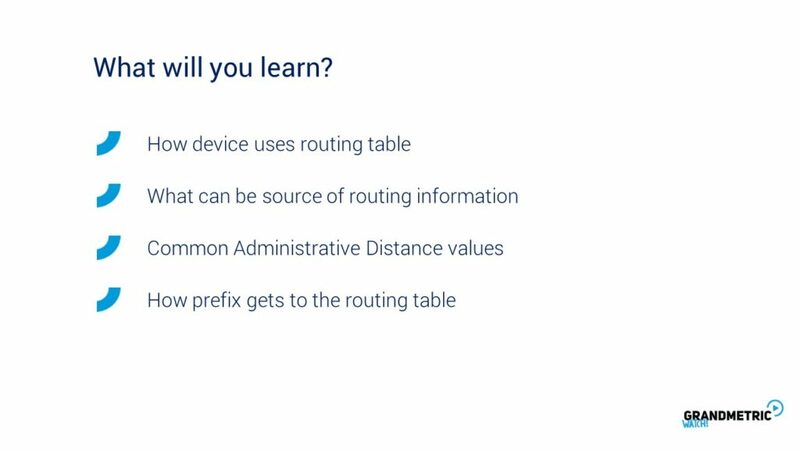 As an example you can routing table that has 4 routing entries two are connected routes , one is static and one is dynamic learned from RIP protocol. You can see the last column which means how the routing source is important between the other. This importance is called administrative distance or AD. 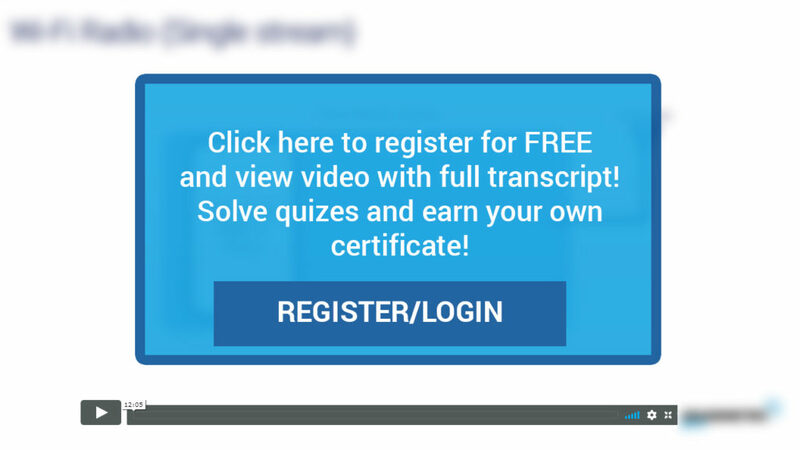 The lowest ad is the more important entry is. 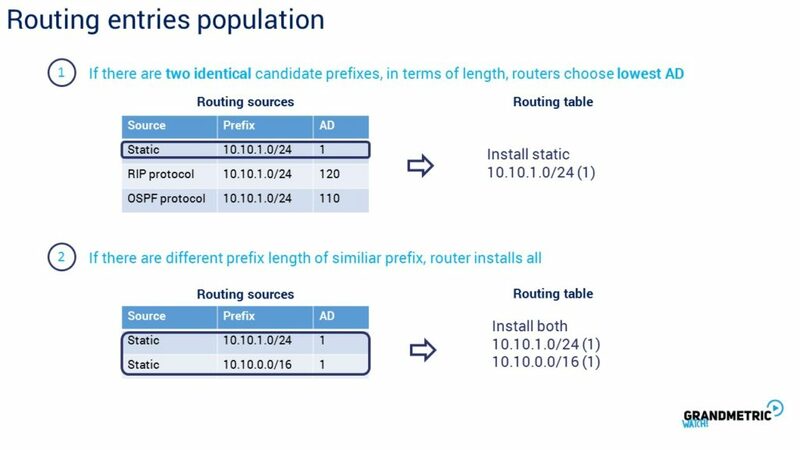 Of course AD is compared by routing table only when router is got two identical prefixes from different soruces. For example if router will get static to 172.16.0.0/16 and 172.16.0.0/16 from RIP routing router will enter the static to the routing table because of lower ad. Here you see the table with common routing information sources the shortcuts and respective administrative distance. Those listed are most oftem met in enterpise networking. The first and always preffer is conneted markes as C and AD of 0. Second one is static with value of 1 and short of S. the rest are represented by routing protocols eBGP i B and has 20, EIGRP makred with D and ad 90, OSPF O and 110, RIP R 120 and internal BGP B 200. 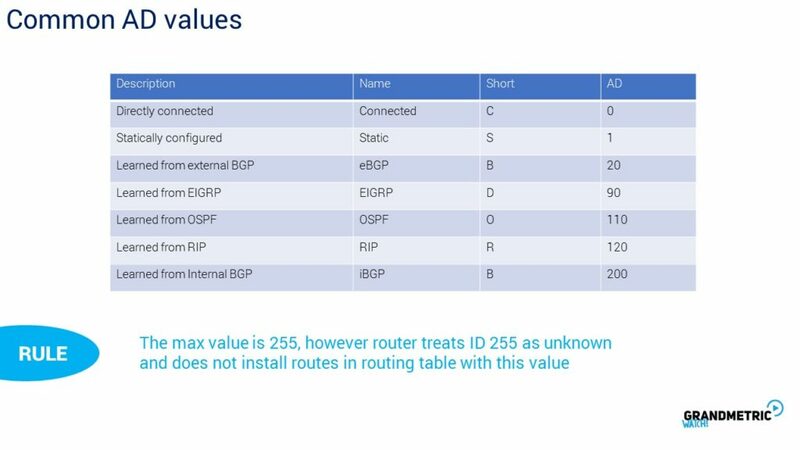 Is worth to mention that ad takes values from 0 to 255 with 255 treated by routers as unknown information and routers do not install such routes in routing table. 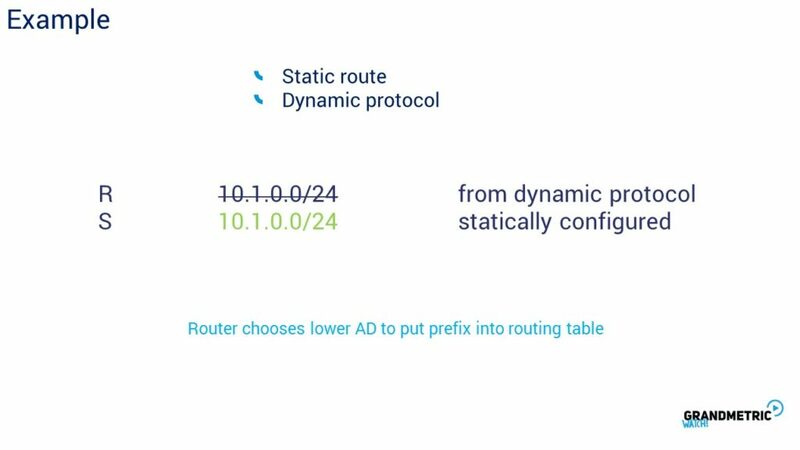 Again, we can hit the scenario when particular prefix can apper from more than one source for example dynamic routing from router R2 and we configured statically exatly the same destination. Then router will choose the prefix based on lower ad which wll be the static route. So remember that The prefix length is the main and first distinguisher when puting entry into the routing table. And only when the sources are more than one fo the same prefix lentght for given destiantoin router chooses based on lowest AD. In the table at the top router will choose the static because is getting three identical but if router has both valid destinaions but differnet lenths will install both prefixes. Anda also there might be the situcation.